Last weekend we went to Summerville for lunch. On the way back home we stopped by one of the antique stores and found a few bottles. This ink bottle is one of them. The cobalt blue is so pretty and goes well with other colors. 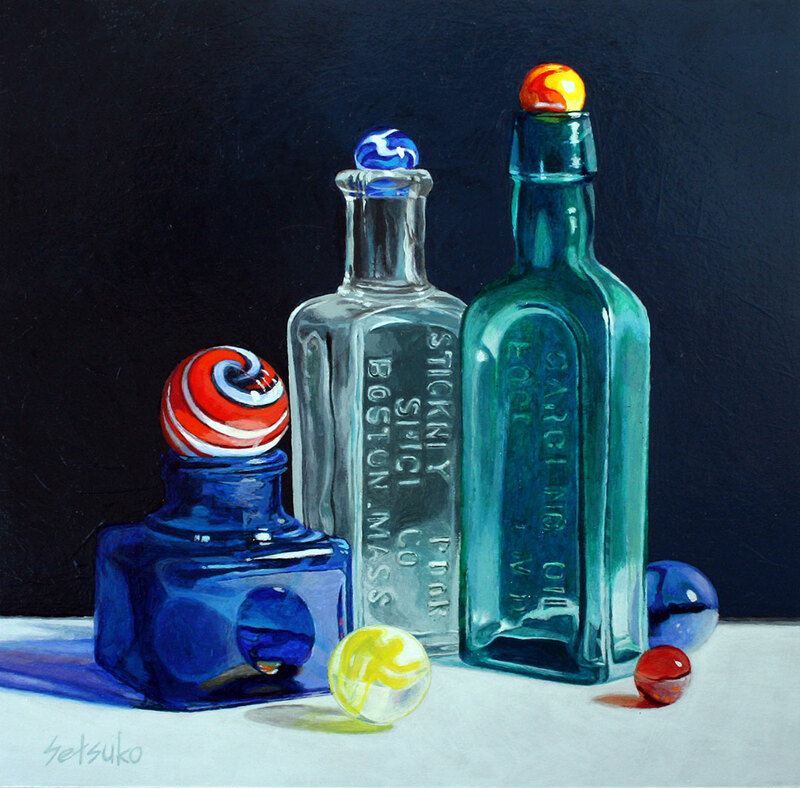 Of course I set old and new bottles for later paintings and took many pictures, almost like a kid playing with dolls. It was a fun. When I paint, I usually listen to the audio novels. Somebody told me that it is not a good idea listening to music when we create images. Well…it is OK with me. Right now I am listening to the novel by Clive Cussler. His outrageous stories are fun and keep me going. Somehow he usually set Japanese in the bad side. Oh Well…somebody need to be bad…Anyway, listening to his crazy story and painting colorful glass bottles, I melt into Setsuko’s dream land. It is nice!